A key witness for a French court investigating who triggered the Rwandan genocide has gone missing in Kenya after a Paris judge insisted the witness’ name be identified in legal documents – a move critics say compromised his safety. The witness — a former presidential bodyguard named Emile Gafirita who fled Rwanda and was hiding in Nairobi – was seized on November 13 by a group of unknown individuals. The witness had been informed earlier that day that Judge Marc Trevidic was willing to hear his testimony. “I sent this news to Mr Gafirita on Thursday by email and overnight he was taken,” his lawyer Francois Cantier told Digital Journal. The witness was due to tell the judge that as a young soldier in the Rwandan Patriotic Army — then led by Paul Kagame — he helped transport missiles that were used to shoot down the plane carrying former Rwandan president Juvenal Habyarimana and his Burundian counterpart Cyprien Ntaryamira, the lawyer confirmed. The assassination of the two presidents unleashed the 1994 genocide in Rwanda, where hundreds of thousands of ethnic Tutsis and Hutus were slaughtered by Hutu extremists. “The judge said that masking the identifying information in the declaration would have rendered the testimony useless,” Cantier explained. Meanwhile, a lawyer defending the Rwandan officials indicted by the French court admitted he indeed passed on Gafirita’s name to his clients in Rwanda, several of whom are top aides to President Kagame. “You’re asking me whether I informed my clients but every normal lawyer informs his clients of the evolution of a case,” Leon Lev Forster told Digital Journal. “The judge could have been more careful,” said Filip Reyntjens, who teaches African studies at the University of Antwerp in Belgium and is the author of the book, Political Governance in Post Genocide Rwanda. Kagame has for years been credited with routing extremists responsible for committing genocide. But his government has increasingly been accused of jailing, kidnapping and killing critics at home and abroad. Gafirita’s lawyer expressed moral outrage at his apparent kidnapping. The French inquiry into the downing of Habyarimana’s plane had been due to wrap up shortly. 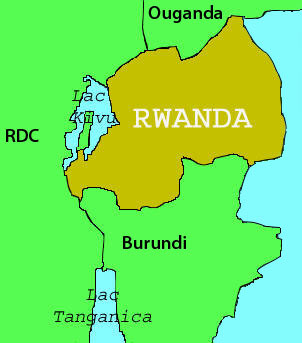 Many observers believed the charges against the Rwandan officials would to dropped. But in a surprise move last month, the judge announced the investigation was reopened. Forster suggested Gafirita’s disappearance might be a political stunt by the opposition. Gafirita was a teenager when he joined the Rwandan Patriotic Front in 1991. He served in Kagame’s High Command unit for more than a decade until he went to Darfur where he became a driver for Rwandan peacekeepers. He broke with the regime in 2009 and fled to Uganda before seeking refuge in Kenya.